Includes: 6 bright colours - red, blue, yellow, green, violet and orange. You can let your children enjoy the fun of painting without the stress. Crayola's Washable Kids Paint means less mess, as the paint washes off skin and clothing. 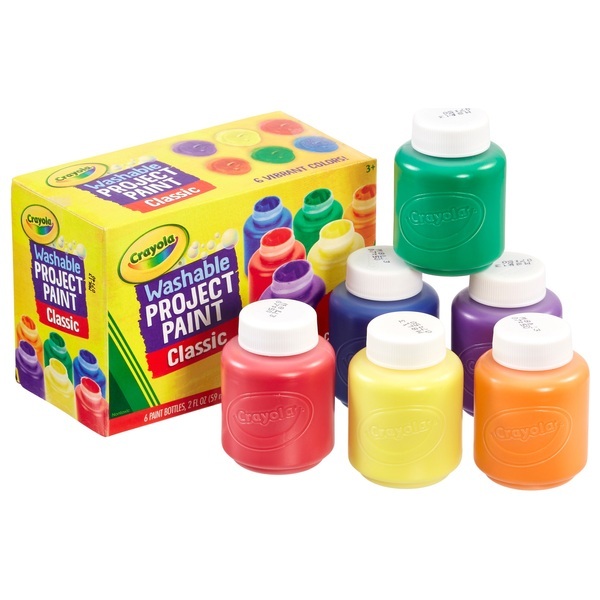 The paint comes in a pack of 6 bright colours.